You might be surprised: much more likely that the checkout of your online store is rather overpacked than missing. There are two explanations of the checkout malfunction: human and technical. In this article, we will overview both of them. Human side: why customers stop before purchasing? The answer is more obvious than you think. They don’t want to buy from you. For now. Less than 15% of buyers left the cart unattended because of lack of payment options, extra taxes, complex checkout organization, slow loading or cracked website. These are the issues to work on, and we will mention them later, but let’s start with what is wrong with our perception of unfinished conversion. About 40% of statistical abandoners fall into categories of ‘comparative’ and ‘emotional’ customers that use an online cart as a bookmark tool or add products to cart impulsively, to relieve the urge for online shopping. But are they lost forever? If you think your cart and checkout is the reason your customers leave, it’s not exactly so. As stated in the statistics above, about half of customers who leave the products in the cart, have no intentions of buying. You сan blame it on the design or usability, or suppose that your store lacks some X-factor to make customers always finish the purchase. Commitment to building a perfect store is understandable, but you miss the half of the point: your checkout doesn’t throw people off. Most of the time, they leave because the time for the purchase has not come for them yet. The question is not how you can get rid of that customer behavior, it’s rather how you can include that pattern in your sales cycle. Instead of treating unfinished orders as a revenue loss, treat them as your future conversions. Make sure customers see the final product price and taxes very clear before the item goes into the cart. Reorganize your checkout to have fewer steps (ideally, fit it in the same page). Make sure the fields you are asking to fill are comprehensible. Check if your CTA is clear enough. After the checkout is tuned, go back to the numbers: realize that 30-40% of your online store visitors express their interest to your products by clicking ‘Add to Cart’, nothing more. But if they are interested. It means you can continue working with them. How? Stay in contact with people who left anything in their carts. Offer to continue placing the order. As simple as that. While it may seem that chasing people who didn’t place an order is ineffective, it actually is. The interest is there, you need to ignite it. You don’t know the exact reason for the cart abandonment in every case, but statistics are on the seller’s side. 47% of cart abandoners are waiting for your follow up email, and 32% won’t ignore it. What is more, your competitors (at least 80% of them) consider such emails a waste of time. This channel is not clogged, and maybe, some of your customers just need a reminder, lost the link or took a few hours to think. As long as there is an abandoned cart, just follow it up with an email as soon as possible. 1 hour is your most preferable deadline – most cart abandoners convert if notified during this period. If not all of them are registered, this is not considered a problem anymore: there are checkout recovery tools that make sure to ask for the email before any other actions on the checkout. How should checkout recover email be? Always include the product picture. The rule of seven still works! The offer benefits should be highlighted: free shipping, reduced price, personal discounts. The urgency based on limited quantity or time-sensitive sale. The email should be optimized for mobile. The email should contain a clear CTA button that will take the customer right to checkout. But right after this email is sent, there should be no obstacles for the purchase. From open email to the ‘thank you for your order’ message, the customer should glide perfectly, like on a theme park ride for kids. Why? Confused leads to being ‘anxious’. Anxious customers are also not the most dedicated ones. 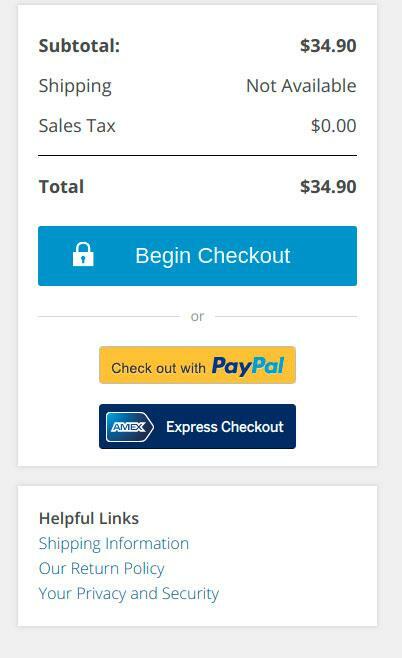 A confused customer is the one who can’t find the checkout button, or can’t understand what do you want from them in this particular form field. If a confused customer can’t figure out the solution to their problem in a few seconds, they leave. 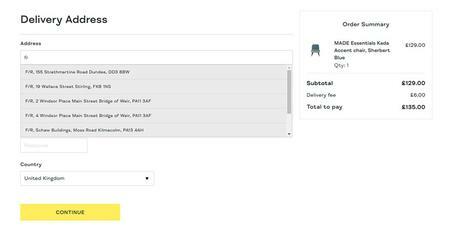 To make their experience seamless, make your checkout obvious. Below are some tips on how to achieve the cleanest structure possible, based on the reasons why customers usually fail to check out. Ensure it’s really the product they want to buy. Just include product images to the cart summary, state its name and attributes if there any. It will reduce customer anxiety by showing they are charged fairly without hidden fees. 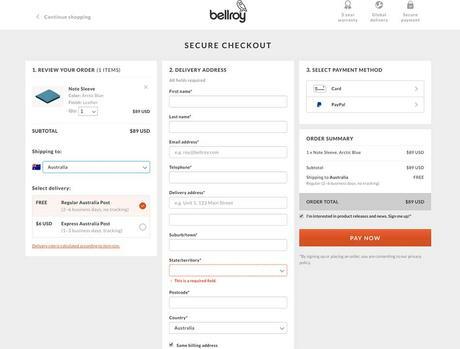 Let users change the contents of the shopping cart any moment into the checkout. Make the quantity and attribute bars available. If the product quantity is stuck, that means a customer has to go all the way of adding product back to cart, and making sure it’s the right amount this time. But in reality, most people would give up at that point and switch the seller. 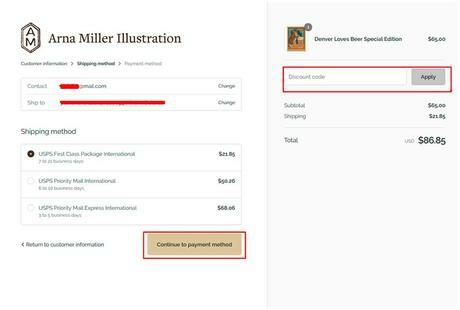 Show estimated shipping costs as early as you can in the checkout process, if it is possible, automatically determine the origin country to calculate the fees. An informed customer is a calm customer. Don’t ask what you don’t need. The email to send order confirmation and notifications and the address for the shipping is more than enough. A forced requirement of a middle name, a phone number, or any sort of preference quizzes before the order is placed feels like the lifetime of irritation. Irritation and closed conversions don’t go hand in hand. The customer can handle their order as a whole from a single page or go back to shopping. Multiple blocks on the checkout page are confusing. What should they do next? Enter their details? Continue browsing? Apply their discount code? Keep one bright and articulated CTA per page to keep the customers focused on what you need from them now: save, proceed, place an order. 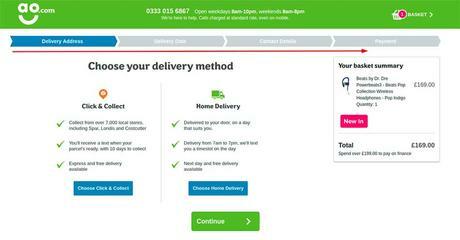 An example of a clear checkout with coherent CTAs. Remove upsell and cross-sell blocks from the checkout to avoid the customers confusing the contents of their cart with other products. The last appropriate stage to offer a bundle purchase is at the cart. What you can show early is the discount bar. Let the customers know they have a discount already, it is valid and applied. Add a progress bar for the customers to see at what stage of the order they are, and where will the transaction happen. Be consequential: first, ask where the order is going for the customer to be sure his region is on the list, then let them choose the shipping method and only then ask for the payment details. And don’t forget to show the order summary. The customers can be sure they won’t be charged suddenly. Validate all the input your customers provide. This will save you from the headache of handling the orders with faulty emails, and prevent the customers from allowing the typos in their addresses. Plus, this makes filling the forms faster. Less typos, less unfulfilled orders. Display security certificates and badges if you use any. If you care about a secure checkout and transactions and scan your store with the antivirus software, it is one more reason to trust you as a seller. Remind your customers about loyalty and return&refund policy before and after they place an order. This way, they clearly see they won’t be abandoned if they need further help with their orders or there is something wrong. Since everyone likes to shop fast, some of your customers would like to buy instantly, passing the initial checkout phase. Paypal and other digital wallets like Google and Apple pay to are designed for safe payments that do not require forms or registering account give your customers more options. Let the customers be your guests. As you wouldn’t force someone you have invited to your place to tell their private information, don’t force people who came across your store by a simple Google search to prove their loyalty to you. Respect your one-time customers and let them have the joy of shopping at your store by giving the guest checkout option, without commitments. First point: some customers are not your customers yet, but they might become yours if you ask them. Do not give up on them too quickly and provide them with extra care. Second point: decluttering your checkout may bring an unexpected drop in cart abandonment rate. Author’s Bio: Oksana Mikhalchuk is Content Manager at NEKLO, a software engineering company with a primary focus on Magento ecommerce development. Oksana is dedicated to writing about marketing, web design and, of course, everything Magento-related.